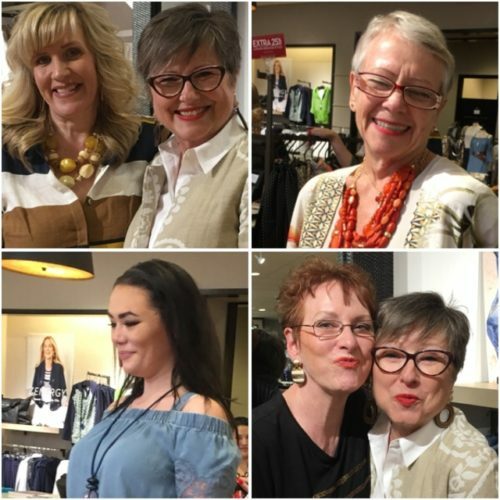 On Thursday evening I had the pleasure of being invited to attend the Girlfriend Event sponsored by the Napa Chico’s in the Bel Aire Plaza. It included one of my favorite things: a style show with models! When I go to Chico’s by myself I can’t possibly try on everything so to see looks others in a style show is a great shortcut to discovering looks I might want to try this year. If I get nervous about bringing attention to my open arms (I know, I’m a Warrioress, but I’m a modest Warrioress) I can add this beautiful scarf to my outfit. So let me introduce you to other fans I met and some new fashion I was introduced to. This is Barbara Hansen. You’ll meet her granddaughter in a minute. She was one of the models that night. She brought the party, let me tell you! She had the moves and danced her way across the floor with each outfit change. 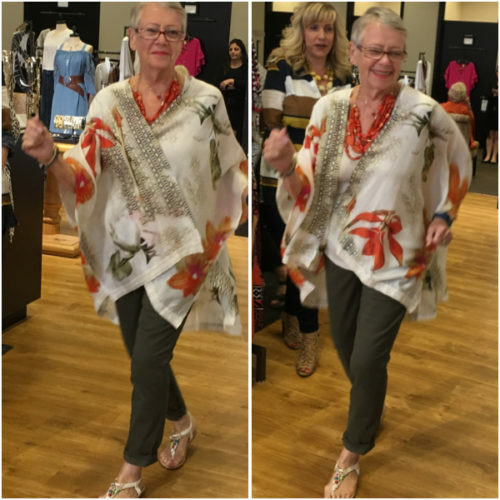 She told me afterwards, “To make my runway debut in my 70th year is just plain fun!” Barbara has lost 60 pounds this year. 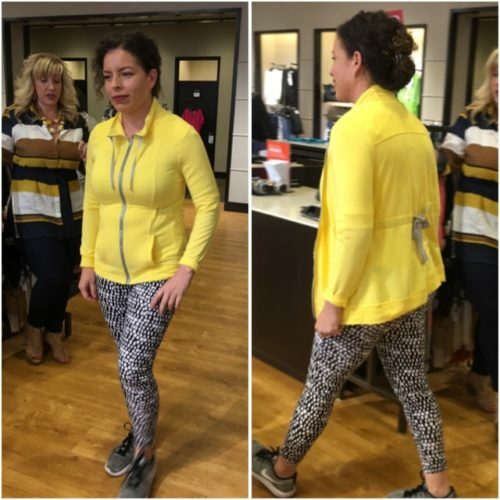 She said, “Chico’s has accommodated my reduction in size.” She told me specifically that it wasn’t weight loss, it was weight reduction. I like that! She went to a health retreat a year ago and realized her habits weren’t matching the goals she had for herself. To say Barbara has now checked ‘runway model’ off her bucket list would be a mistake. I’m sure she could turn this into a regular gig! 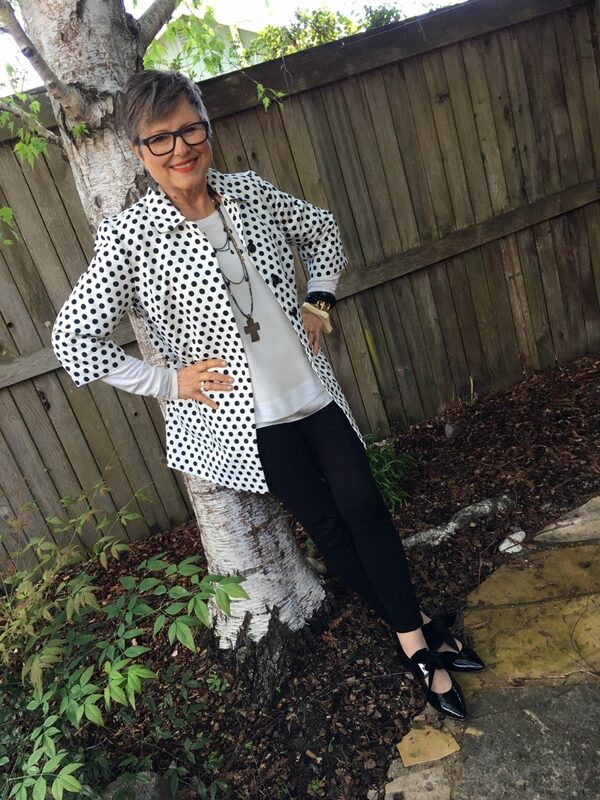 Like grandmother like grandchild: modeling runs in the family! 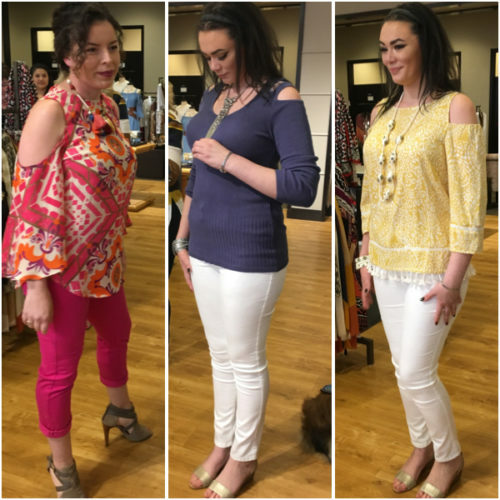 Here come the cold shoulders at Chico’s! The model on the left in our roundup of cold-shoulder looks is Liliana Guzman from Napa. She’s thirty-four. 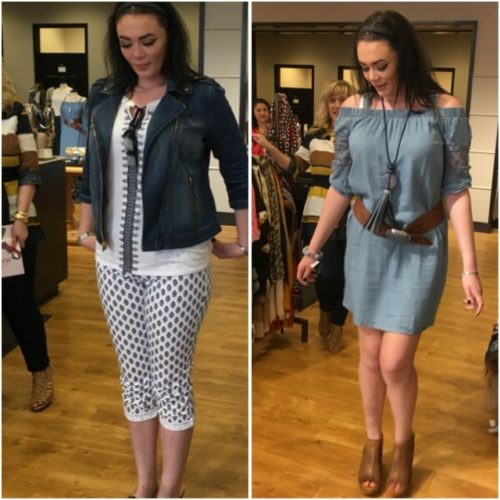 She said, “Once I walked into Chico’s and started trying on the clothing, I loved how everything fit.” She wears it well! As does Tessa! Need a motivation to get out on the trails this spring? Liliana wears a jacket I lust for! Fun anyone? Be on the lookout for a fashion show near you! 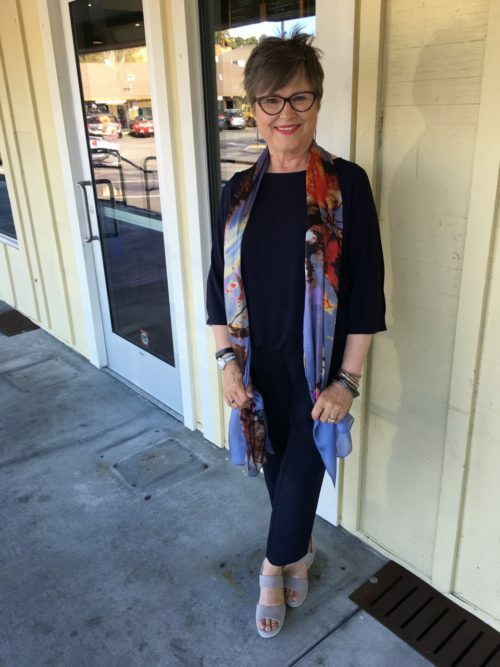 Another quick note: Chico’s in Napa is going to be getting petites soon, so be sure to check it out! You’ll love their staff just like I did! Can’t wait to go back! Maybe I’ll plan my own girlfriend shopping event where we could all play with new trends! How about you? Would you take an exploration into a new store and try new things? Let me know about your adventures! how do you find out about these in store events? Good question!! When you visit a store you can ask if they have something coming up. I went to an Eileen Fisher fashion show at Nordstrom last year and I found out from the salespeople at Nordstrom. Chico’s had flyers. I think we need to let our stores know that we like these events! Oh, Anthropologie has events too. I’d also get on mailing lists, email lists, for stores you like. Hope that helps. what are those shoes you are wearing in the first photos! Taupe with wedge and strappy! Gotta have! They are by Gabor. They’ll have similar styles I’m sure! Good luck! 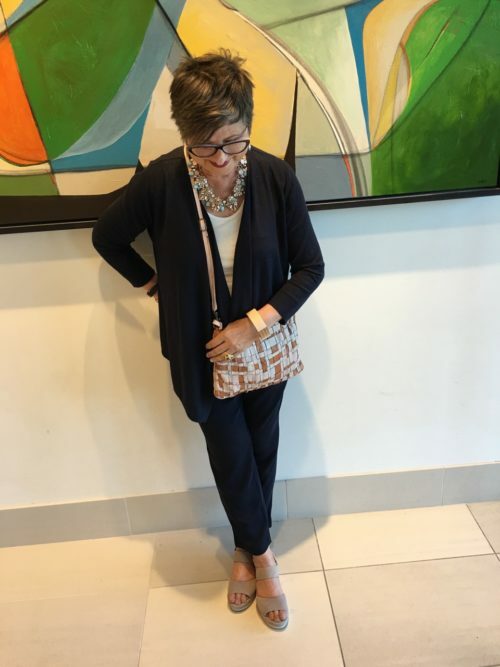 I love the idea of a style show—because it can be so helpful to see the items on a person instead of just the hanger!! So very true! I love that you highlight your mom and and step mom! Yes, Jodie. Love to see older models. 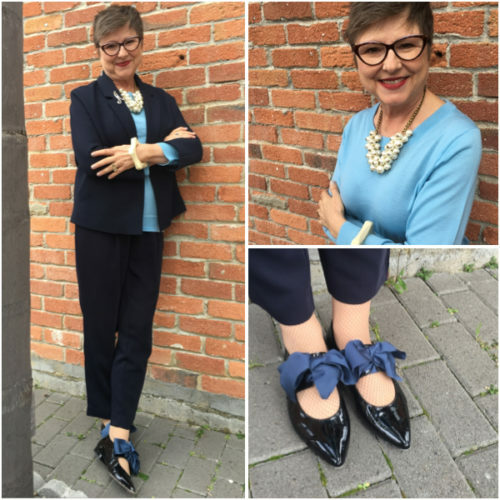 I am 68 and I still love fashion. Which navy Chico pant are you wearing? One that sold out last year! Always looking to see if they redo it. I really like how Chico’s has elevated their look throughout the years, it’s my go-to shop for chic, wearable fashion. 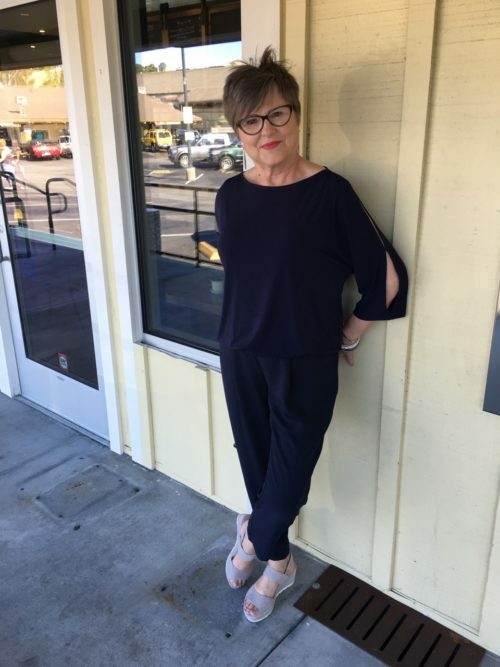 I have Chico’s clothing from the last ten years, their high quality and timeless fashion are so appreciated, but I have yet to try the cold shoulder blouses! Your navy blue pants look great, what Chico’s style is it? Thank you for your pictorial examples, the visuals make it easier for me to imagine how I would look in certain styles. You’re inspirational! It just says Chico’s on the label, an ankle pant. I threw away any tags with more info. I’ve been happy with my selections as well. Glad you found the post inspirational and thanks to our models that night who really showed us how things look! 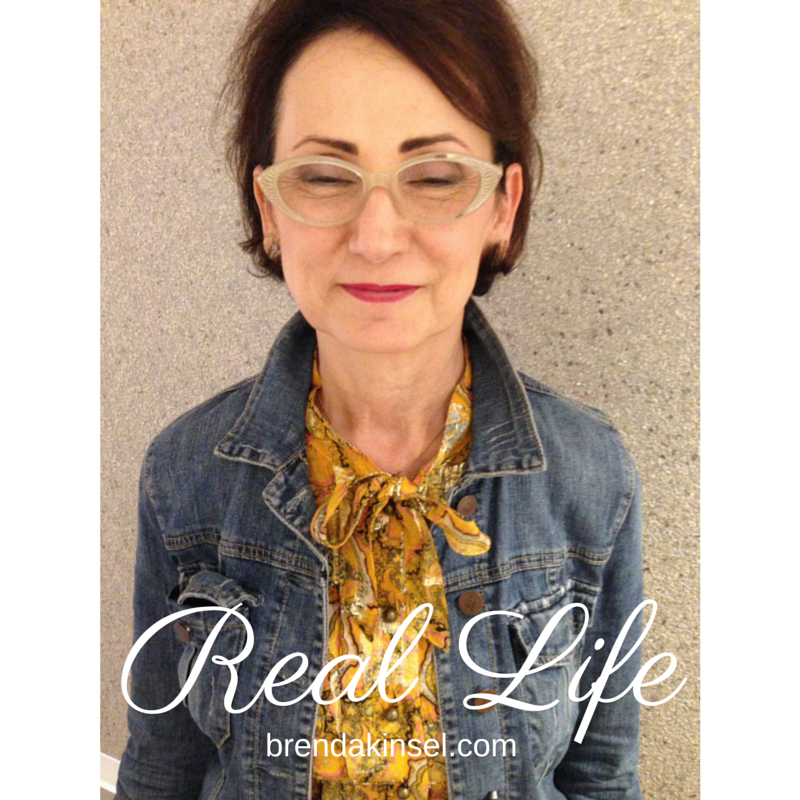 Great post, Brenda — and three cheers for Chico’s! I love it when stores use real women as models. They are all beauties here!